I decided to open source my DFD Turbolist Converter project today. It was originally a proprietary ioncube-encrypted app. Since I am switching my business model over to a vendor-only role (no more custom coding jobs for clients), I figured it was best from a marketing perspective. 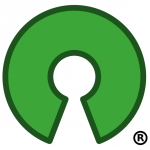 This entry was posted in News and tagged News, Open Source, Web Development. Bookmark the permalink.